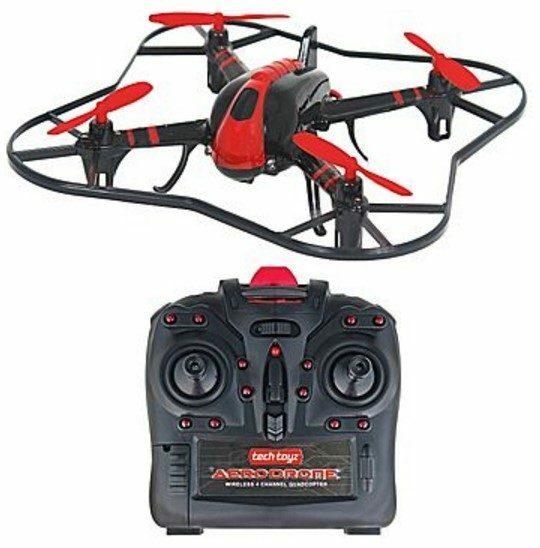 Techtoyz Aerodrone X6 Drone With Camera Just $39.99! Down from $100! You are here: Home / Great Deals / Christmas Deals / Techtoyz Aerodrone X6 Drone With Camera Just $39.99! Down from $100! You can get this Techtoyz Aerodrone X6 Drone with Camera for just $39.99! Down from $100 at Staples! You can have it shipped to store for FREE! Featuring precise controls and a button for flip tricks, you also can easily save videos and pictures to an SD Card for convenient viewing and sharing on a computer.